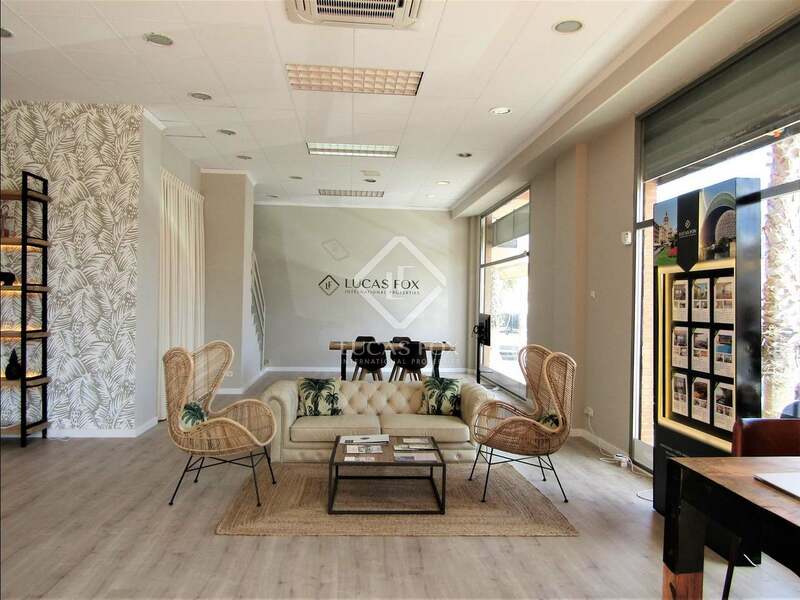 At the Lucas Fox Valencia Patacona office we specialise in exclusive real estate for rent and sale on the Valencia Coast ranging from stylish apartments with panoramic sea views to spacious airy family villas with gardens and pools. Whichever property type you choose your investment is assured as real estate along the Valencia Coast is ideal for permanent relocation or second homes and always in great demand. With over 500km of coastline, Valencia's coast lies opposite the beautiful Balearic Islands and boasts an extremely favourable year-round climate. To the south of the city there are seemingly endless untouched sandy beaches that are ideal for escaping the bustling city centre. Further north the beaches are popular among lovers of water sports, with more facilities and some excellent nightlife options. Our properties are ideal for those seeking a laidback lifestyle with constant contact with nature and the sea yet without compromising on quick and easy access to an exciting city with all of the restaurants, leisure options and places of cultural interest that it offers. The coastline backs onto a stunning fringe of mountains offering a range of adventurous pursuits, from horse riding to hiking trails among some of the region's most picturesque scenery, and even tours at several local vineyards. We specialise in real estate in the beach area of Patacona and Malvarrosa, where there is great demand typically for 2 or 3 bedroom apartments with 2 bathrooms and a good terrace that offers the possibility of outdoor dining, preferably a south-facing property on a high floor with views of the sea or communal pool. The area we cover attracts a wide range of clients including local residents looking for a new home by the sea, young couples, families from Valencia, freelance professionals relocating with their families, international retired clients and investors looking to enjoy lucrative holiday rental properties. The main attraction to the area is obviously the beach which is ideally located right next to all services and just minutes from the bustling centre of Valencia. The location allows residents to have it all: the sea, an excellent sunny climate with clean unpolluted air and the city on the doorstep for work and pleasure. The excellent road network and public transportation services make it feasible to commute to work in the city from your beach home on the Valencia Coast or to own a pied-a-terre by the sea as an ideal getaway property to enjoy at weekends and during the holidays. The highly professional estate agents at the Valencia Patacona office can attend clients in Spanish, English, French and Valencian and will be happy to help you find your dream home on this coveted stretch of the coast. At our office we always strive to understand each individual client’s preferences and requirements in their property search in order to provide a bespoke service and guarantee complete client satisfaction, seeking only the very finest Valencia Coast properties with a particular focus on location and exclusivity. Call us today to begin your property search.